The Rakow Group wouldn’t be the three decade strong Westchester commercial real estate power house that it is today without the people who represent it. Our longevity as a company is the product of hard work, loyalty, perseverance, and devotion to providing the best possible results to our clients every day. It is thanks to our team, which works round the clock day in and day out, that so many new as well as seasoned business owners look to us for guidance with opening new offices and/or relocating old ones. Here’s a bit of background on the experts you can expect to deliver results for your company. Rick Rakow developed as a commercial real estate expert upon spending a decade representing a property owner who owned some 2 million square feet of space. During these years, he was able to gather data and extract certain trends from tenants of these properties. What he noticed was that tenants were hiring external real estate experts to help them optimize the terms of their leases. This allowed them to gain a valuable advantage during negotiations with their landlords, who have far more experience with these types of business transactions. With this knowledge, Mr. Rakow opened the Rakow Group we know today. Rick Rakow is the heart and soul of the company. He is the founder and CEO, and has been in the business for over 30 years. Paul Moulins is in charge of the leasing and sale of retail and industrial properties. He is also an expert in conversion sites and property development. He is the most experienced agent on the team and it shows in his work. To illustrate his expertise, consider his latest transaction, in which he facilitated of an industrial site that is 99 acres. He’s also facilitated sales and leases of warehouse spaces, the relocation of company headquarters, and even medical offices, all of which were well over 10,000 square feet. Mr. Moulins’ range in experience and his ability to communicate clearly and patiently with clients has allowed him to flourish as an agent at Rakow. 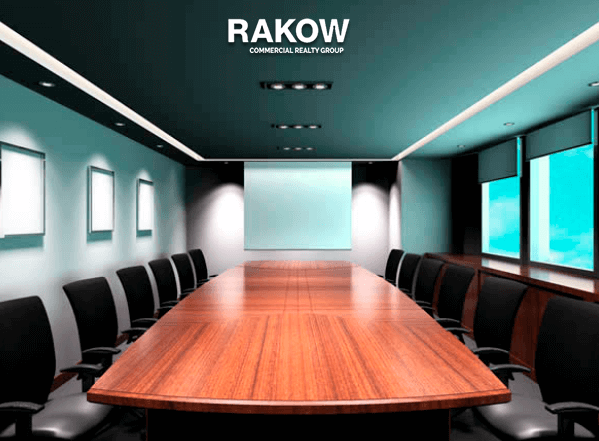 Mr. Richman specializes in broking and consulting for Rakow. He is the man to turn to when clients wish to establish optimal terms for their leases and sales during negotiations with prospective tenants, buyers, renters, and sellers. He is also the person to ask for business owners in search of locations, as Richman has a history working with property owners in the area that goes unmatched by competitors. Over his 15 years of experience in the field, Richman gained extensive knowledge and skill, allowing him to be an exceptionally effective and productive member to the Rakow team. These are just three of our continually expanding team of commercial real estate experts. We are always looking to learn and improve, as we continue to provide the best commercial property for rent and commercial property for sale services anywhere in Westchester and Fairfield Counties. For more information, please call us at (914) 758-0220.